Nylon Strap Kits include two bolt down footman loop brackets and a 1” nylon strap with a pinch and release plastic buckle. Ideal for strapping down tools and/or large equipment such as vent fans, cribbing, rescue jacks, and other hard to secure items. Sizes listed are the maximum lengths and may be adjusted to secure smaller items. 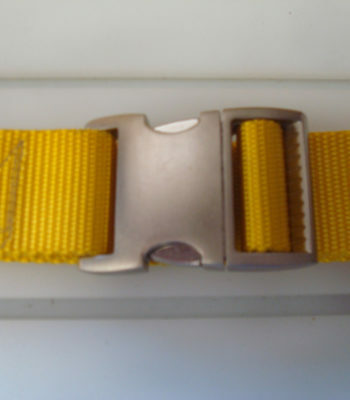 Nylon Strap Kits include two bolt down footman loops brackets and a 1.00″ nylon strap with a pinch and release buckle. Ideal for strapping down tools and or large equipment such as vent fans, cribbing, rescue jacks and other hard to secure items. Sizes listed are the maximum lengths and may be adjusted to secure smaller items. 1" x 30", 1" x 48", 1" x 64"
© 2015 Sensible Products, Inc. All Rights Reserved.